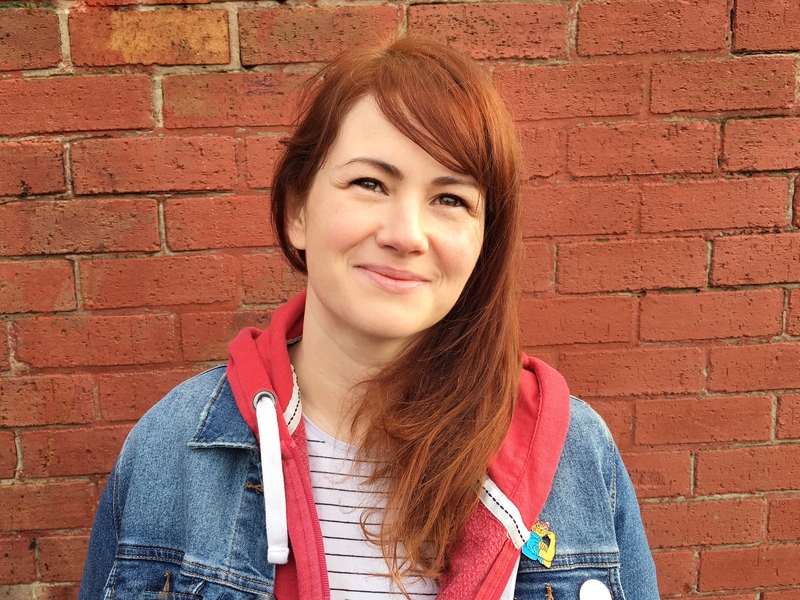 The photos for July’s Me & Mine were taken today…we just made it! I thought the July photos would be no problem as I had planned plenty of fun days out once the schools had broken up but with the weather being dismal we decided to get some jobs done in the house instead. 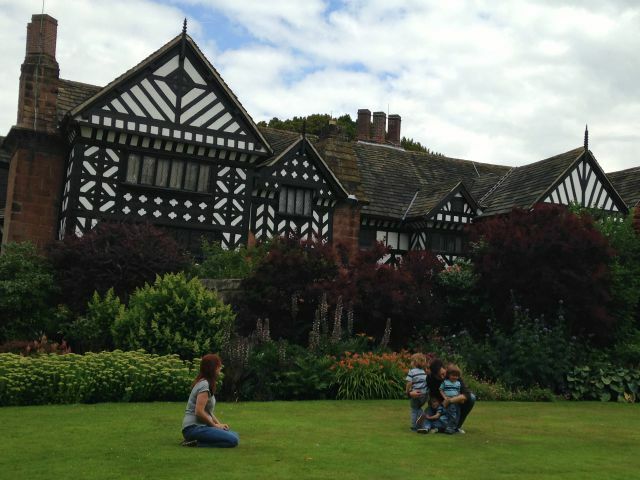 After nearly a whole week of being in we needed some fresh air today so thought we would pay a visit to Speke Hall, a National Trust property near us in Liverpool. 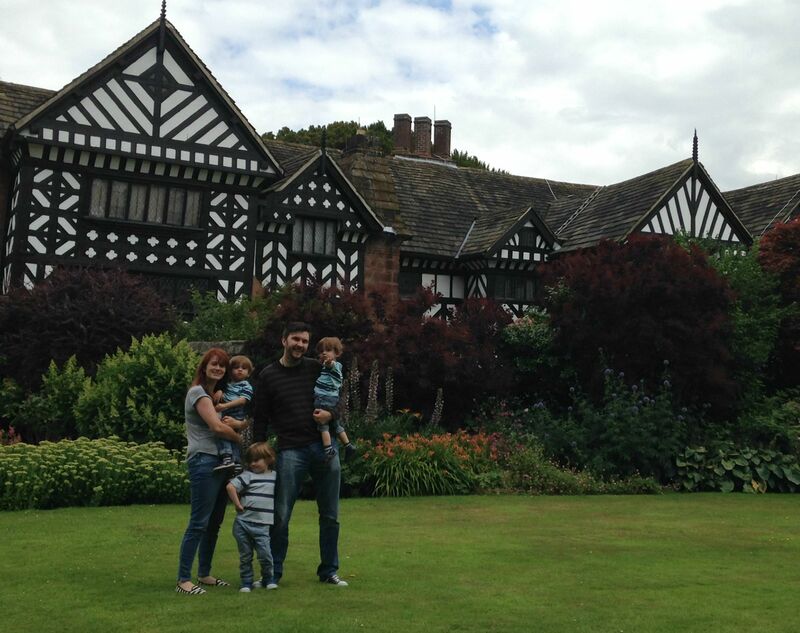 We had such a lovely day and managed to get a few family photos in front of the main house. It is beautiful there and there is lots to do outside for the children so we will definitely be going again, I can’t believe we hadn’t been there before. As we were walking around we found a little patch of lawn that was perfect for a photo, and for playing, running and spinning around. I love the photos; you can tell we had promised Lucas an ice cream after the photos as he was throwing out some of his best poses. 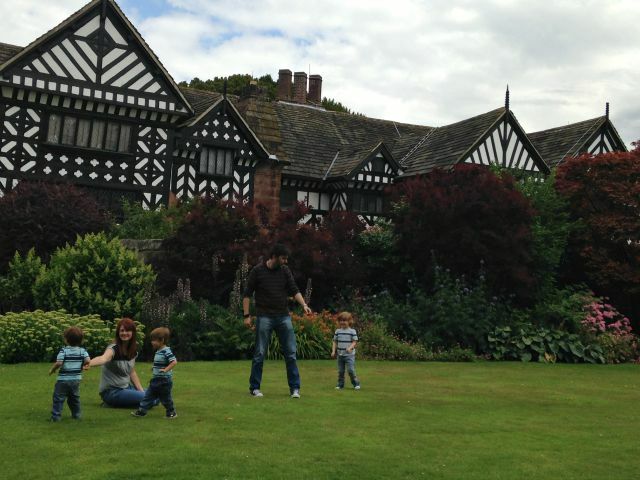 These photos are extra special because we had such a lovely day, one we would want to remember. This month has been quite a fun one, me and the husband celebrated my birthday with a child-free day in Liverpool which was such a treat and we found delicious Mexican food! The boys have been so funny this month, they’ve grown closer all the time and we had a fun morning at the park together and I’ve written a little bit about them as brothers. We have a list of things we want to do before school starts in September; Lucas basically listed different modes of transportation to go on and a day at the beach so nothing too extravagant. 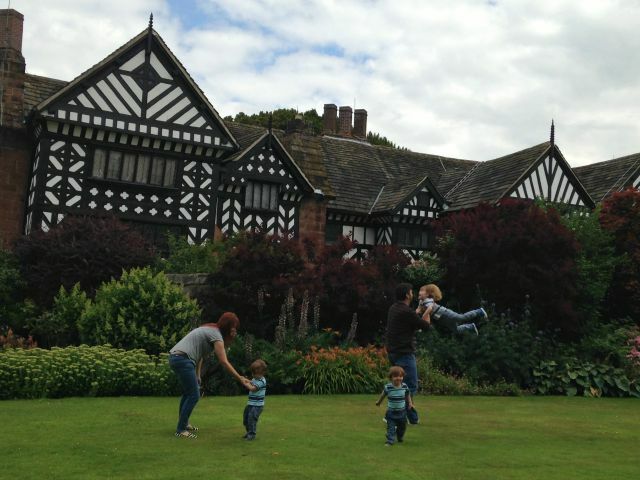 I’m hoping to squeeze in lots of family time over August, these little munchkins are so much fun! 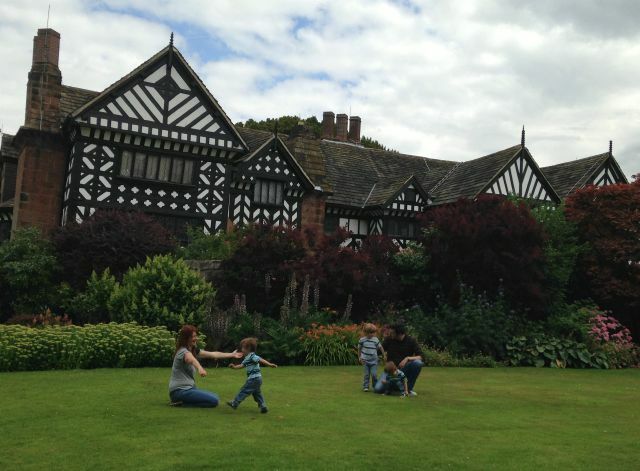 Is Speke Hall good for children? It’s on my list of places to go but I wonder if my nearly 3 year old might be bored. Your children look like they’re having fun though! Thanks Jenny, we had such a great day there and I love to see the boys running around laughing, there is something about being outdoors with them which is so relaxing! Oh they’re lovely pictures for a last minute photo shoot; what a gorgeous backdrop! These photos are beautiful. Really love the candid style of you just being a family and playing together on the lawn! I adore the ones where you are throwing the boys around they are brilliant shots. Very special and you’ll remember that day for ages!